InstallBuilder provides the ability to configure some or all of the available components to be separate, downloadable content instead of being embedded in the installer. 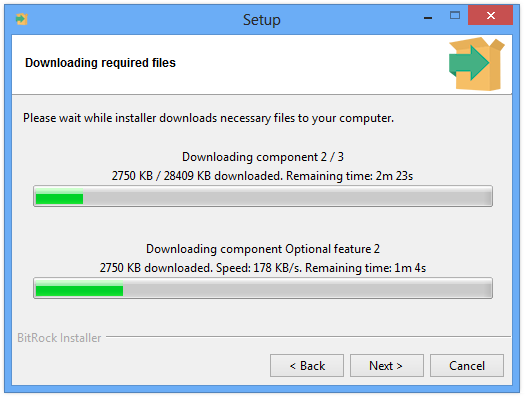 This means that elements of the application that are not always used can be made downloadable to decrease an installer's size. Each downloadable component is built as a separate file for each platform. After building a project, its components should be copied to a web server or file hosting service so that users can download it.